MLC's son kills a teen for not letting his car pass! Is this what Bihar voted for? Question marks on the law-and-order situation in Nitish Kumar's Bihar returned when the son of a member of the ruling Janata Dal (United) killed a teenager in Gaya for not giving way to his car. Protests broke out in several parts of the city after Rocky Kr Yadav, the son of Manorama Devi, a member of the state's Legislative Council, shot 17-year-old Aditya Sachdeva. Rocky's father Bindi Yadav is considered a 'bahubali' (strongman) in Kumar's JD (U). Following public pressure, he was arrested Sunday for letting his son escape. The victim was from a prominent business family of Gaya. He studied at the city's prestigious Nazareth Academy and took his XIIth-standard exams this year. According to his friends, reportedly present when he was killed, a brawl broke out when they were unable to give way to Rocky's SUV. Aditya and his friends were returning from a friend's birthday party Saturday night. Ayush, who was in the Maruti Swift car that Aditya was riding, told police that the SUV overtook their car near central jail premises. Rocky and a man in police uniform, purportedly Manorama's bodyguard, came out of SUV. While Rocky was holding a revolver, the other was also carrying a gun. Rocky pointed his weapon at Aditya's head and asked the others to alight. The politician's son fired at Aditya's head when his friends refused to come out of the car, Ayush alleged, and drove away. 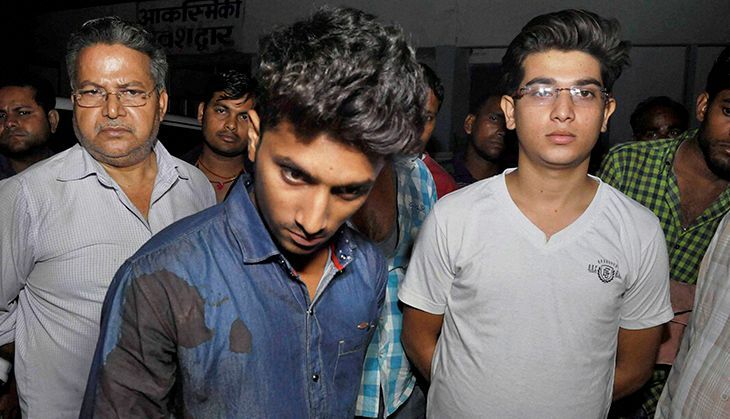 Following statements by Aditya's friends, the police seized the SUV from the legislator's house around 1.30 am. Her husband and bodyguard were taken into custody later. Bindi Yadav insisted his son fired in self-defense. "Rocky has a scuffled with some people Saturday night after his car was not allowed to overtake. Soon, things turned into violence and Rocky had to take out his licensed pistol to protect himself. The shot was fired during the exchange of blows," he told the media. Later, however, he claimed Rocky was in Delhi for months and has not visited Gaya. Bindi Yadav is former president of the district council. His brother Sheetal Yadav was also the vice-president of the council. The incident has turned the heat on Nitish Kumar. government is facing the heat of the opposition. Workers of Bharatiya Janata Party (BJP) blocked roads in various parts of Gaya amid heavy police deployment. "This is the result of Nitish Kumar's tie-up with Lalu Prasad. The 'jungleraj' we were afraid of is back. Earlier, a collector was beaten up by an MLA's son," said BJP's Prem Kumar, who leads the Opposition in the Legislative Assembly and is also the local legislator. Aditya's family demanded strict action. "The culprits must not be spared. The police must arrested them immediately," said Kamal Sachdeva, brother of the deceased. In the chief minister's defence, politician Shyam Rajak told Catch that "Nitish Kumar is known for maintaining law-and-order. There is no question of any compromise on that. He has made it clear that action will be taken against all culprits." 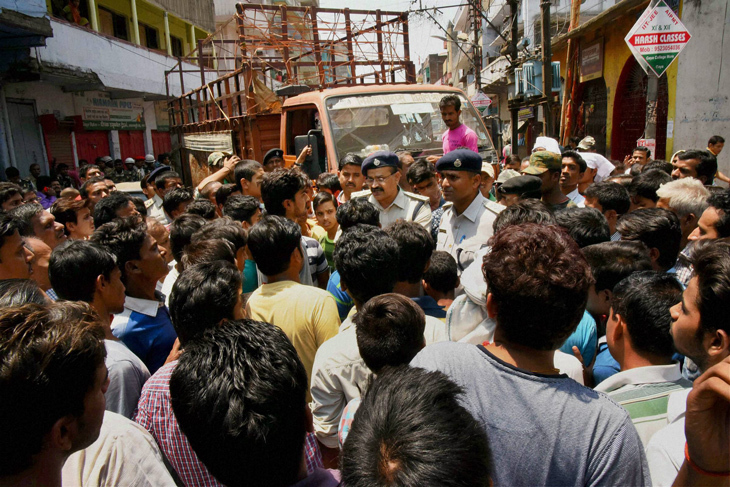 This was not the first time in Gaya when a kin of a ruling party leader clashed with the law. In January, RJD MLA Kunti Devi's son allegedly roughed up a government doctor. He and his father Surendra Yadav are behind bars. Uttarakhand: Did liquor cartel try to topple Rawat to stop Dennis the menace?